HTC is getting out of the entry-level phone business this year, focusing instead on mid-range premium and flagship devices that it hopes bring in profits. The phone maker made the announcement on an earnings call with investors and analysts following another quarter of losses. Chia-Lin Chang, HTC's president of smartphones and connected devices, called the entry-level sector "ultra competitive" and not a space where the company expects to bring in returns that justify releasing budget phones. Achieving profitability is HTC's aim this year, and its plan of attack is to release fewer phones that sit on the top end, rather than flood the market with devices that span the price spectrum. 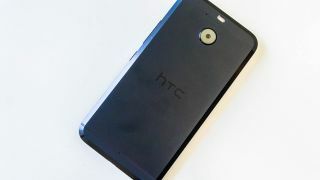 Chang said HTC will reduce the volume of phones it puts on the market, with plans to launch six or seven at most in 2017. Though he wouldn't elaborate on what price points HTC wants to hit, Chang said the company will likely focus on the "mid-tier premium and the flagship type of these SKU products." HTC will continue to support the budget phones it's already released - just don't expect new Desires and other entry-level HTC handsets to be announced in the coming year. As for whether HTC will ever return to the entry-level market, an HTC spokesperson told TechRadar the company doesn't have any more details to share beyond what was said on the investors call. The company has already announced the HTC U Ultra and HTC U Play this year, with the latter being the mid-range take on the more powerful U Ultra. We may see another round of HTC phones at MWC 2017, a huge mobile show taking place in a few weeks. Armed with a streamlined approach to phones and an HTC Vive mobile headset on the horizon, HTC could be poised to claw back into the black. Time, however, will tell.